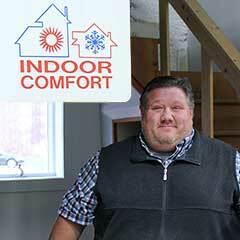 Kurt Ritchie is the President of Indoor Comfort. He was hand-picked by longtime owner, Mike Martin, in 2013, to take his place and lead Indoor Comfort on the path of honest service and high-quality work. 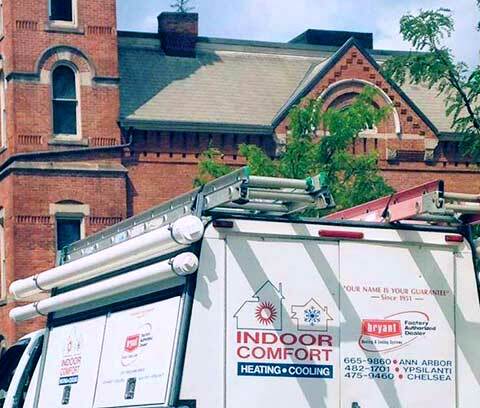 Kurt has succeeded in this vision and is always hands-on with whatever is needed to make sure that the name of Indoor Comfort is a guarantee for our customers. Kurt is completely certified by North American Technician Excellence (NATE) and has a State of Michigan License in HVAC work. He has years of experience with HVAC and has a wealth of knowledge that he uses to lead Indoor Comfort to excellence. When Kurt is away from work, he stays busy owning and managing several rental properties in Wyandotte, Michigan with his beautiful wife. Kurt’s high school age son keeps him on his toes, and they all love spending time on their boat and exploring all the incredible restaurants and venues that Detroit has to offer. Whether Kurt is spending time with his family, or providing top of the line customer service, he is always giving his full effort and it doesn’t go unnoticed. Between the thank-you notes that Kurt personally receives and the positive customer reviews, it’s clear that he is excelling in his position.